We're looking for fresh new musical talent. 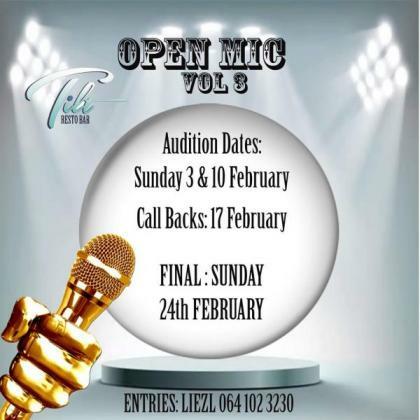 Join us this Sunday 03 Feb 2019 for the first installment of our 3rd Tilted Open Mic Competition. Entrance is free and you don’t need to be there every Sunday. Epic prizes to be won - join our page on Facebook for all the updates as they happen and for more info on the prizes, contestants and rules and regulations.